Mediclinic is a private hospital group with three operating platforms in Southern Africa (South Africa and Namibia), Switzerland and the United Arab Emirates. Its core purpose is to enhance the quality of life of patients by providing cost-effective acute care specialised hospital services. 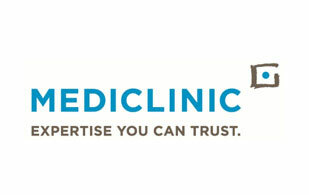 Today, Mediclinic Southern Africa operates 49 hospitals and 2 day clinics throughout South Africa and 3 hospitals in Namibia with more than 7 900 inpatient beds in total; Hirslanden operates 16 private acute care facilities and 3 clinics in Switzerland with more than 1 600 inpatient beds; and Mediclinic Middle East operates 5 hospitals and 29 clinics with more than 600 inpatient beds in the United Arab Emirates. London and Abu Dhabi: Al Noor Hospitals Group Plc. (ANHA.L; the "Company", "Group" or "Al Noor"), the largest private healthcare service provider in Abu Dhabi, today announces its results for the six months ended 30th June, 2015.